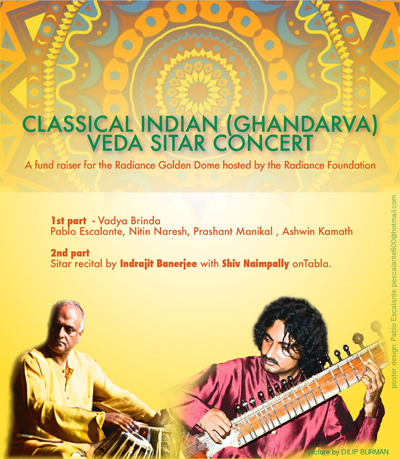 Classical Indian Gandharva Veda Concert featuring Indian Sitar Master Indrajit Bannerjee and tabla player Shiv Naimpally. Date: December 10, 2011 at 7:00PM. At the door: $15 adults, $10 children over 12. Would you like to help promote this event? Please download this poster which you can hand out or post to bulletin boards around town. Posted in Community Event, Dome Event.